Mackenzie Cumberland, Director of Finance and Operations with the UVSS, does not mince her words when it comes to envisioning a future in which her two health care referendum questions fail. “There’d be very great reductions in coverage,” Cumberland warned, speaking after the UVSS approved the two health plan referendum questions at an emergency board meeting in January. “Things like access to health care practitioners will be cut down a lot, the drug exception will be either cut down even more or gone, dentist will be cut down. In just a few days, students will vote on one of the most important referendum questions to grace a student ballot. 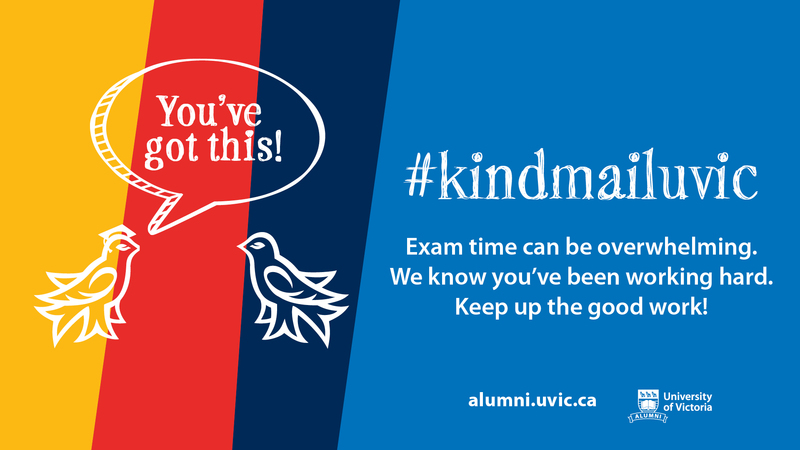 Each of the 18 000 or so undergraduate students at the university are automatically enrolled into the UVSS health care program, and while some opt out and others pay for the plan without using it, the Health and Dental Plan offers hugely important medications and services for thousands of UVic students. This year there are two questions, concerned with the short- and long-term futures of the health care plan. The referenda questions became necessary after a spike in health care usage during the 2016–2017 academic year. 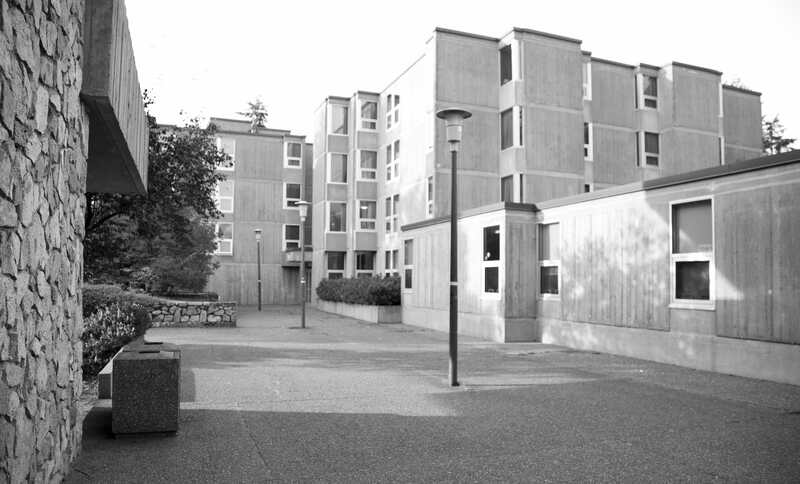 Running out of money due to the number of claims made by students, the 2016–2017 UVSS board cut back coverage and dipped into the Health Plan Reserve Fund to cover the deficit. But the reserve fund is running out, and the UVSS faces a choice — charge students more for health care or lose a majority of the plan. The first question asks students if they are in favour of restructuring the health and dental plan. The change would create two tiers of health care coverage — enhanced and basic. The basic plan costs as much as the current health plan but offers less health and dental coverage. The enhanced plan costs more than the current plan but offers more coverage. The details of all three plans can be seen in the images below. If the referendum question passes, students would be automatically entered into the enhanced plan. They would have the option to change to the basic plan, or, if they have equivalent coverage, opt out of the plan entirely. According to Cumberland, opting down to the basic plan will be an easier process than opting out entirely. 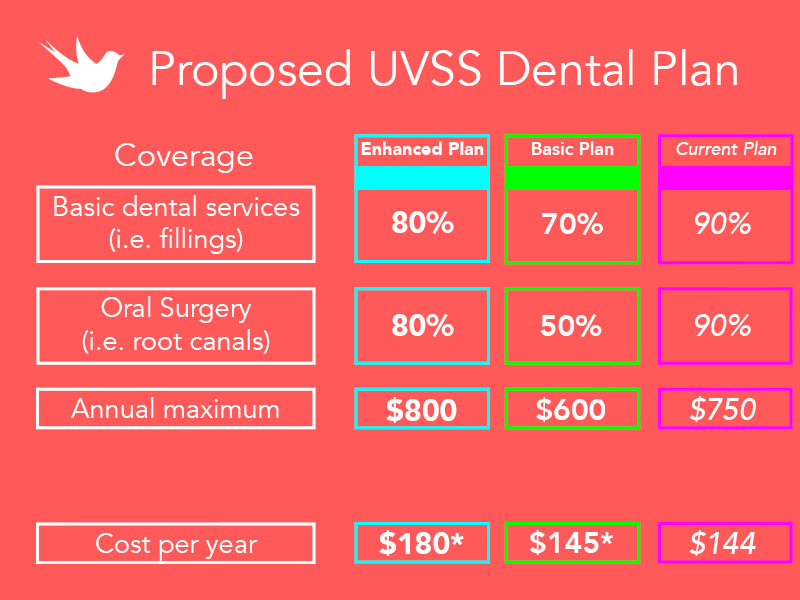 The second question would allow the UVSS to adjust the cost of the health plan by up to 5 per cent per year without needing to call a referendum (which is currently required for any health care fee changes). Cumberland explained that the UVSS does not have time to call a referendum by the time they learn how many people have accessed the health plan over the past year. As a result, a serious spike in usage — like the one in 2016–2017 — can cripple the UVSS’s health care coffers. The solution, according to Cumberland, is allowing the board to shift the health care fee in order to cover such a spike. “It will just give the leeway that in case premiums increase, the board of directors can increase the fees to match the increase in premiums,” said Cumberland, noting that the referendum question would allow the UVSS board to decrease fees by up to five per cent as well. 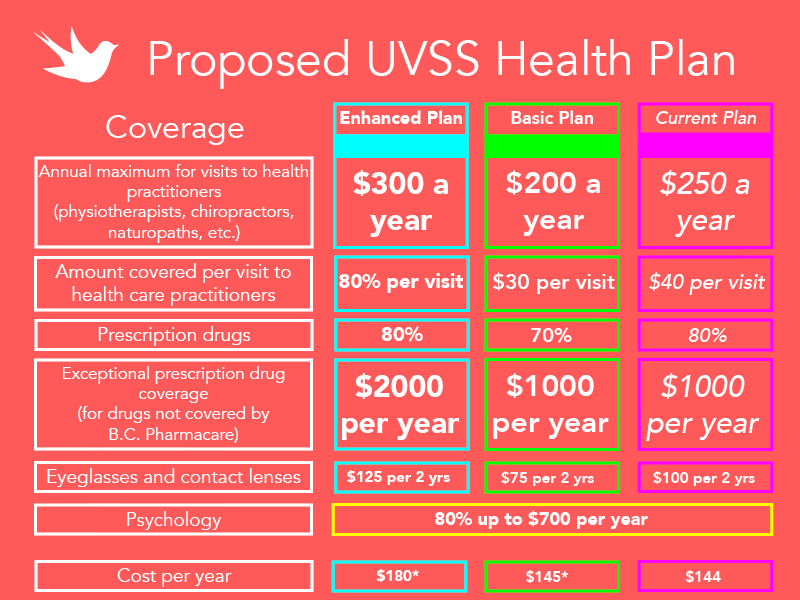 If passed, the questions would mark the first changes to UVSS health care fees in 15 years. Studentcare and the UVSS have spent a year working with various student groups in order to come up with the proposed plans. Now, it’s up to the students to vote on whether the tiered plan is better than nearly nothing. The SubHed was changed from “referendum” to “referenda” to indicate there are are two questions up for debate; instances of the phrase “tiered system” were changed to “tiered plan” in order to be as clear as possible in regards to coverage; and captions on the graphics were changed to represent the fact that coverage is subject to change, not prices.